Panoramic view on the Dutch trading post of Dejima (also Deshima) in Nagasaki. The original fan shape of the island is still clearly visible. 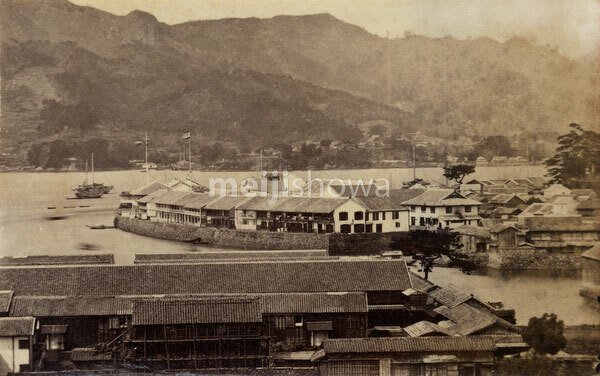 In the foreground, the warehouses in Shinchi (新地蔵) are visible. CDV albumen photo by Felice Beato, June 1865 (Keio 1).